The 5th session of the Mississippi Legislature met in Columbia in Nov. 1821, and in a special session in June 1822. 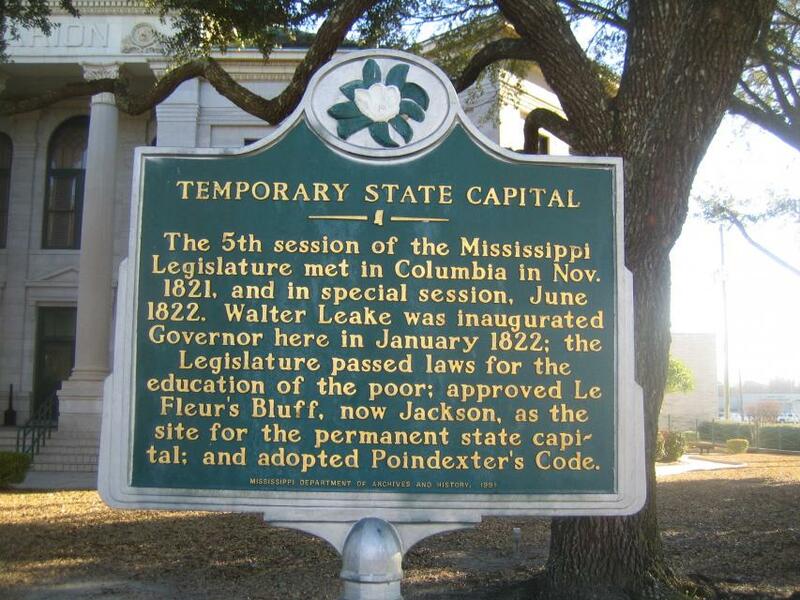 Walter Leake was inaugurated Governor here in January 1822; the Legislature passed laws for the education of the poor; approved Le Fluer's Bluff, now Jackson, as the site for the permanent state capital; and adopted Poindexter's Code. This marker can also be identified by its HM code. You can use the hashtag #HMXSX in tweets, and any other place where you might refer to this marker, including when searching on this site.